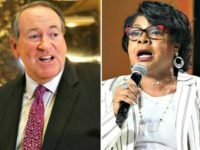 Washington (AFP) – Democrats want to strike a blow against Donald Trump’s presidency with an upset victory in Tuesday’s special election in Georgia, where the congressional race in a traditionally Republican district cost a record $60 million. Republicans are facing a sobering reminder of their president’s poor approval ratings, as 30-year-old centrist Democrat Jon Ossoff, a filmmaker and onetime political assistant, holds a slim lead in polling ahead of the closely watched runoff. With Democrats potentially striking the first blow against Trump in 2017, the race has drawn substantial attention on the national stage — and vast contributions from across the country to both candidates. 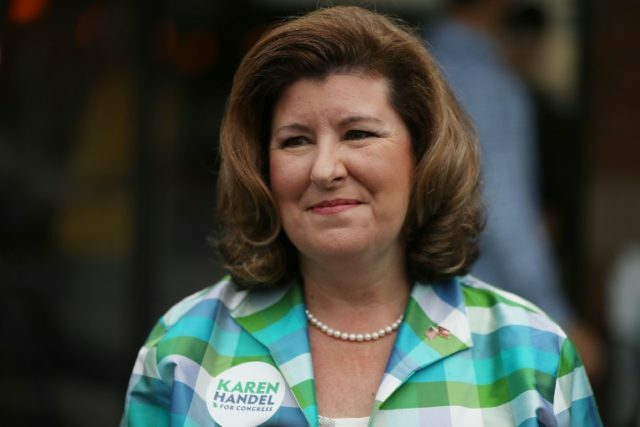 Ossoff and his Republican rival, the former Georgia secretary of state Karen Handel, spent the weekend and Monday crisscrossing the state as the race went down to the wire. Despite Trump’s favorables being underwater, the president weighed in to express support for Handel, most recently in a social media post Monday. Ossoff is trying to flip the suburban Atlanta district that Republican Tom Price left to become Trump’s health secretary. The Democrat won the first round against several candidates in April, but fell just shy of outright victory. The June 20 runoff quickly became the most expensive US House race in history, with the campaigns, political action committees and other outside groups raising nearly $60 million, according to government reform and ethics group Issue One. Ossoff has unleashed a massive ground operation reportedly consisting of some 12,000 volunteers knocking on doors and calling potential voters. The two campaigns and political groups have bombarded Atlanta-area television and radio with election advertising. Georgia’s sixth district has been held by Republicans since 1979. But as an increasingly well-educated, diverse suburban district it is exactly the kind of territory which Democrats need to flip if they want to gain the 24 seats necessary to reclaim the House of Representatives in 2018. “If the Democrats win the Georgia Sixth it should be a wake-up call to the Republican Party,” GOP strategist Rick Tyler, ex-spokesman for Senator Ted Cruz’s 2016 presidential campaign, told MSNBC on Monday. Tuesday’s runoff is the opposition party’s third major bite at the apple since Trump took office. Special congressional elections in Kansas and Montana — also to replace Republicans who vacated their seats and joined Trump’s team — were hailed as opportunities for Democrats to score tangible first strikes against the administration as the parties gear up for a brutal battle for control of Congress in the 2018 mid-term elections. But with Democrats falling short in those races, all eyes have turned to Georgia. Another congressional race is on tap Tuesday, in South Carolina, where voters will choose a replacement for Mick Mulvaney, who is now White House budget director. But that seat is seen as more likely to stay in Republican hands. Should Democrats fail to convert at least one of the special election seats, it could deal a demoralizing blow to administration opponents who have seen these races as early tests of the national strength of an anti-Trump resistance movement. A flash of political violence meanwhile has cast a shadow over the Georgia race: the shooting of a top Republican congressman and three others last Wednesday at a practice for a congressional baseball game. Steve Scalise remains hospitalized in serious condition after being shot in the hip. Both candidates have reported receiving threats, prompting heightened security in the final days of the race.